Amazon Gold Box deal of the Day is Klipsch G-17 Air Wireless Sound System for only $219.99 (was $549.99 that is a 60% savings) and ships free. The new Klipsch G-17 Air Wireless Sound System represents one of the most comprehensive team development efforts in our history, with design and acoustics engineers working together to create a new music system with a stunning appearance that compliments any setting and still fully delivers the legendary, lifelike sound Klipsch is known for. Never settling for the “good enough” approach that abounds in many compact audio systems today, the G-17 Air is a true advancement in style, technology and sound you’ll never tire of. Six-Month Financing: For a limited time, purchase $149 or more using the Amazon Gift Cards and pay no interest for 6 months on your entire order if paid in full in 6 months. Interest will be charged to your account from the purchase date if the promotional balance is not paid in full within 6 months. Minimum monthly payments required. 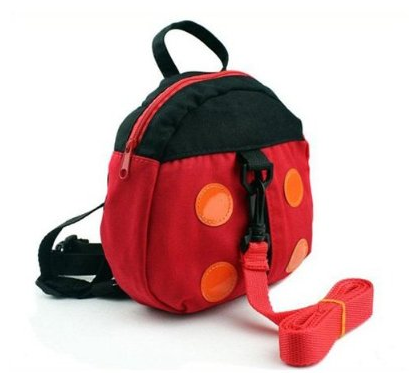 Kids/Toddlers Ladybug Backpack Harness only $3.93 shipped! You can get a kids Backpack and Safety Ladybug Harness today for only $3.93 shipped for free!! Thanks MyLitter! These are so handy for when you are out in public and want to keep track of kids. A great way to keep kids close and safe. Remove the tether strap to turn this harness into a backpack. Lovely design in Ladybird shape. Infant anti-lost band / toddler with / ladybug shape. Safety pin with: 78cm. Back pocket: width 18.5cm, height 19.5cm. Strap / safety buckle adjustable / packaging Jane packet. This is also just super cute and you can remove the strap part and your child can use it as a little backpack! Go HERE to take a look! 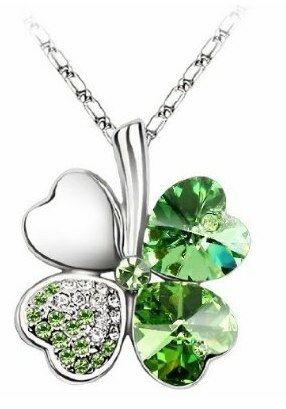 This is a great time to grab a fun St. Patrick’s Day piece of jewelry! 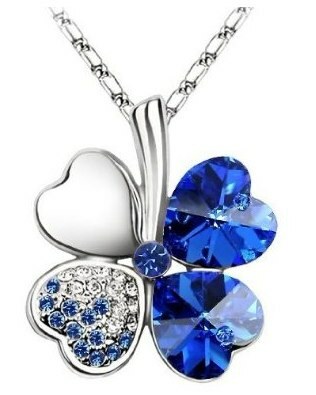 There are 10 colors to choose from and they have free shipping on top of a low price! My girls really like these. Amazon Lightning Deals has Just Dance: Disney Party for the Nintendo Wii and Xbox 360 for only $14.99, be sure to click on “View Gold Box offer” to see the $14.99 price. Just Dance and Disney are working in collaboration to create the greatest dance game for the whole family – Just Dance: Disney Party on Wii. Dance like a star to 25 songs from classic Disney movies and Disney Channel’s hottest shows. With an amazing selection of family favorite songs, fun dances, and kid-friendly gameplay, children of all ages can dance along with family and friends! Do you feel that your car needs to “express itself” more. Now you can let that car do just that, with Carlashes! Amazon has Car Eyelashes Decorative Fashion Accessory for only $7.20 & eligible for FREE Super Saver Shipping. Wonder if I can find one with a goatee. 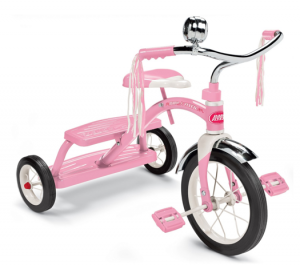 Girls Radio Flyer Classic Tricycle $39.95! Wow, this is a GREAT deal today at Amazon on the Radio Flyer Girls Classic Tricycle for only $39.95 (was $89) with free shipping! When these go on sale they are normally in the $50’s, I have not seen one this low in a LONG time. In fact, we are getting it and putting it away for my daughters birthday this summer. Thanks Geri! Go HERE to take a look! Prices on Amazon can change at any time.